We’re getting ready to welcome the new year — and in 2018, we hope you and your loved ones will make a plan to value your oral health. We’re all about “self care” these days, and one of the best ways you can show yourself some love is to take care of your smile. And with just a few small tweaks, you can make a difference that will impact your overall health for a lifetime to come. Your dentist in Burlington has some ideas for 2018 oral health resolutions — keep reading to find out what they are. When was the last time you replaced your toothbrush? If it has been more than a few months or if you can already see the bristles starting to wear down, it’s time to upgrade. And while you’re at it, consider investing in an electric toothbrush if you don’t already use one. You can effectively remove plaque and tartar with a manual brush, but a powered version cleans better and also comes with a timer to make sure you clean for the full 2 minutes. Most people know they should floss their teeth once a day, but they still fail to do so. The truth about flossing is that it’s a habit — and it’s not too late to pick it up! Cleaning between your teeth removes the food particles and bacteria your toothbrush just can’t reach, and so we encourage you to make 2018 the year you start flossing regularly. Leave the box of floss out somewhere you’re sure to see it after you have brushed your teeth. Set an alarm on your phone, leave yourself notes, whatever it takes to remember. While you’re developing a good habit, consider leaving behind some of those that don’t serve your mouth so well. Nail biting, pen chewing, and eating ice are all damaging to your oral health. Smokers are at a higher risk of developing gum disease and oral cancer, not to mention a host of problems with overall health. Talk to us or your general doctor if you are ready to quit smoking or any other negative habit but are unsure how to go about it. Patients of all ages should visit the dentist in Burlington for routine checkups and cleanings — these appointments are crucial for preventing cavities, gum disease, and a host of other oral health problems. In 2018, make sure you schedule and attend two checkups and cleanings! If you have dental insurance, these appointments are completely covered — so take advantage of those valuable benefits. Dr. James P. Kostas is a general, restorative, and cosmetic dentist in Burlington providing comprehensive dental care for patients of all ages. 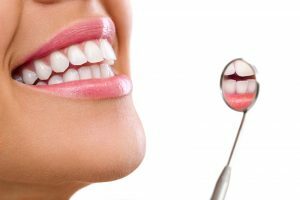 To learn more about his general, restorative, or cosmetic dentistry services, please do not hesitate to get in touch with Complete Dental Care. The office can be reached by calling 781-272-0441.